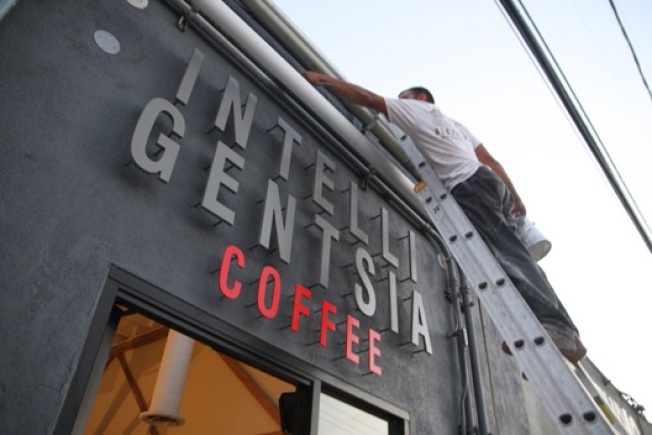 Venice: Asyoumayhaveheardonce or twice, tonight is the grand opening shindig for Intelligentsia Venice. There will be free coffee involved, as well as booze from Silverlake, which we suppose is the gourmet equivalent of a vodka-Red Bull. The open party is likely to be an extremely crowded affair, but in all likelihood, it'll be your only chance to check out the place this weekend. The true opening likely won't take place until next week, and though the exact date is still up in the air, sources say one possibility is next Friday.